Rotec operates and is committed to a Total Quality Management System. With a dedicated Quality department, regular meetings and statistical analysis of our service, we strive to maintain our dedication to quality. 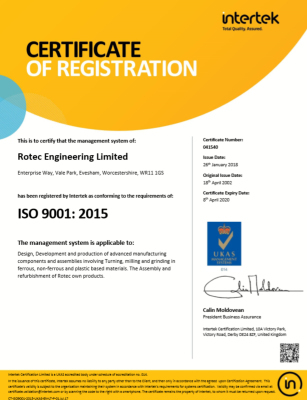 As part of the Quality Management System Rotec has and is fully compliant with ISO 9001:2015 accreditation which is applicable to Precision CNC components produced by turning, milling and drilling in ferrous, non-ferrous and plastic based material. 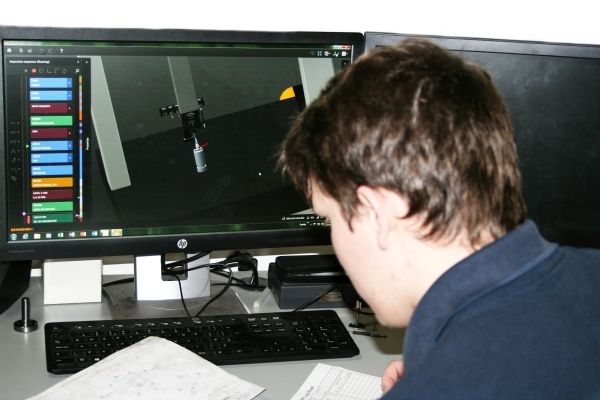 Our parts are quality tested and inspected by our highly trained Quality department using the latest testing equipment through the manufacturing process to ensure all parts meet not only the customers but also our high standards. We always welcome customer feedback and suggestions as these enable us to continually improve our internal processes, services and quality. Click here to email us your feedback or if you would like further information on our Quality Management System and testing capabilities. We are also working towards gaining AS9000 with hope to be accredited in mid 2018. 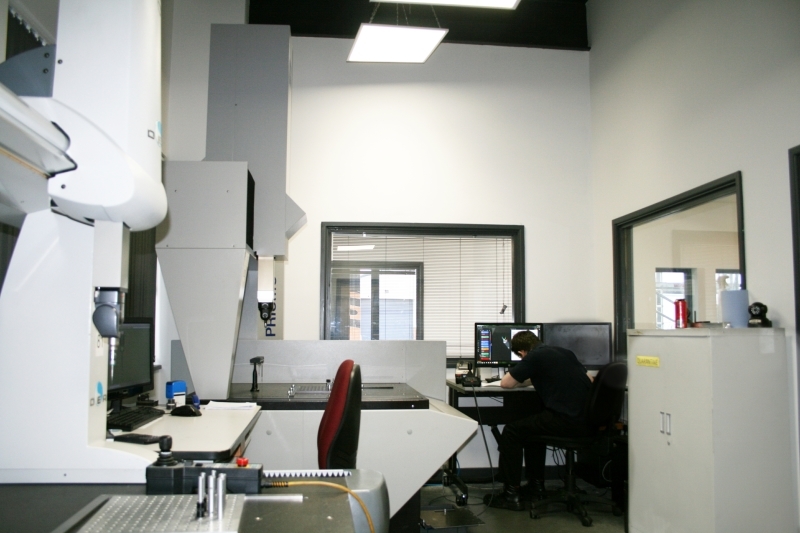 Zeiss Prismo CMM Machine fitted with Renishaw 5 axis CMM sensor technology. 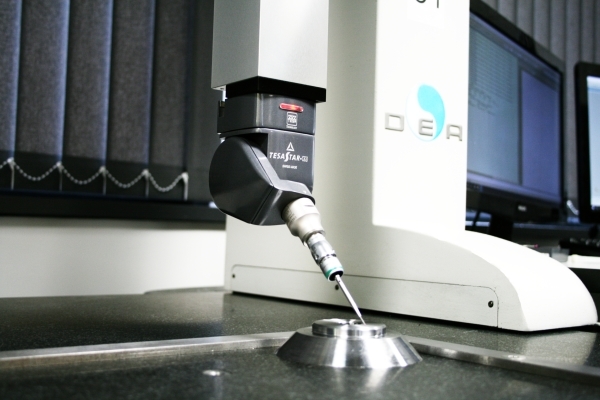 Using Modus 2 the innovative inteterface which is quicker to use and compatable with CAD CAM. 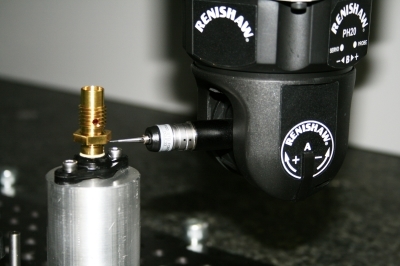 This machine can preform from simple manual CMM operations through to complex part measurement on multi-axis systems. All-purpose CMM for the dimensional inspection of a variety of components. It can be equipped with touch-trigger probes or optional scanning probes' which can be used in a number of industries for first and final part inspection, fixture qualification. Fitted with a Linear Height, multifunctional single axis height gauge, makes 2D measurement simple and accurate. 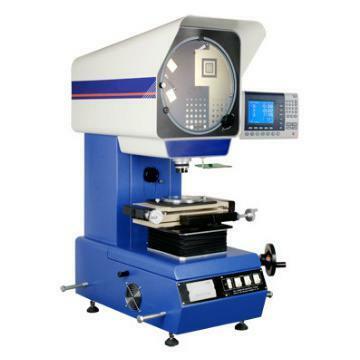 It is possible to measure from simple 1D parameters of the surface height, circle diameter, distance, perpendicular and straightness to sophisticated 2D measurement.